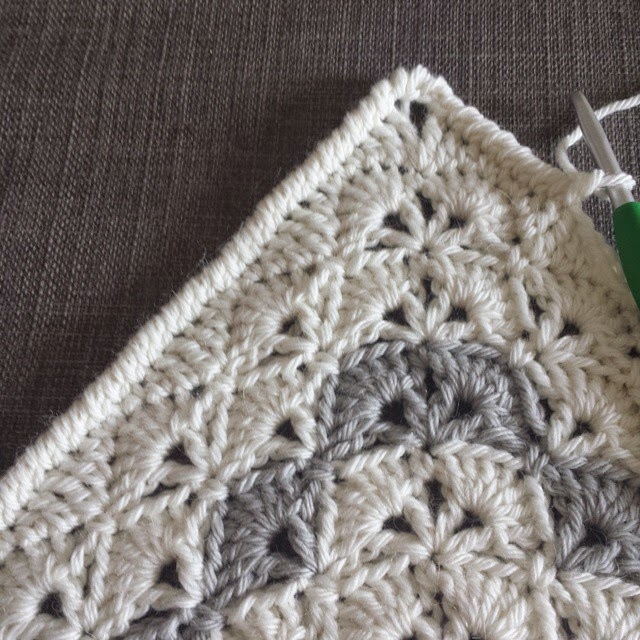 Crochet is normally a relaxing happy pastime but not this blanket! 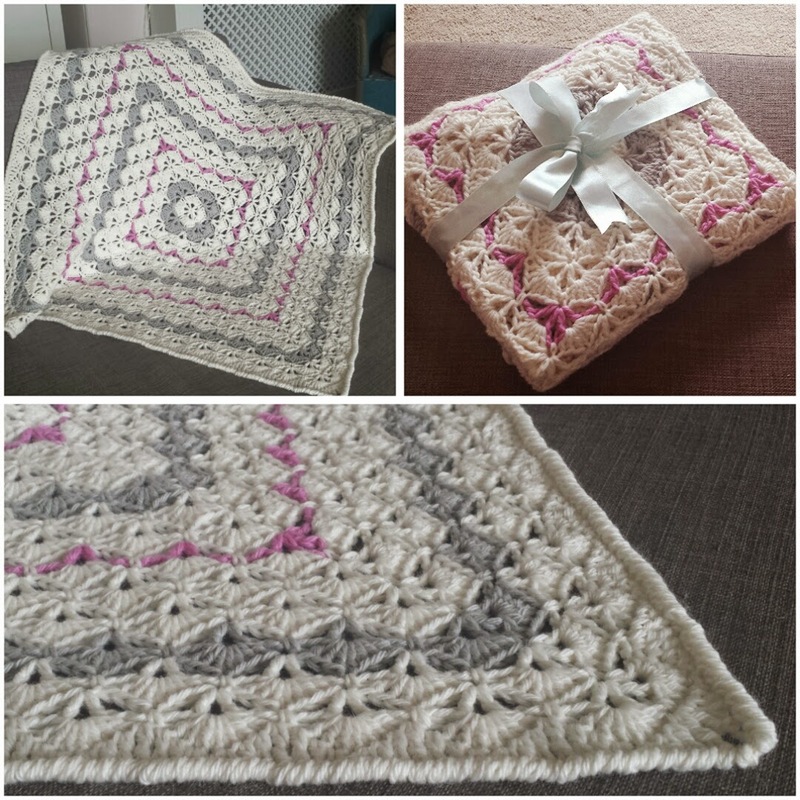 I was in a panic to finish and can safely say, I will never churn out another blanket so fast ever again. I am maintaining that this particular blanket has nothing to do with my TERRIBLE time management and is in fact down to her being born prematurely. That is my official line. I will gloss over the fact that I knew she was going to be premature and that I also knew weeks in advance that she could have been born any day…. When I posted the photos on Instagram, I had a lot of people asking about the pattern and my border so I will tackle both those things in this post! Firstly the pattern. 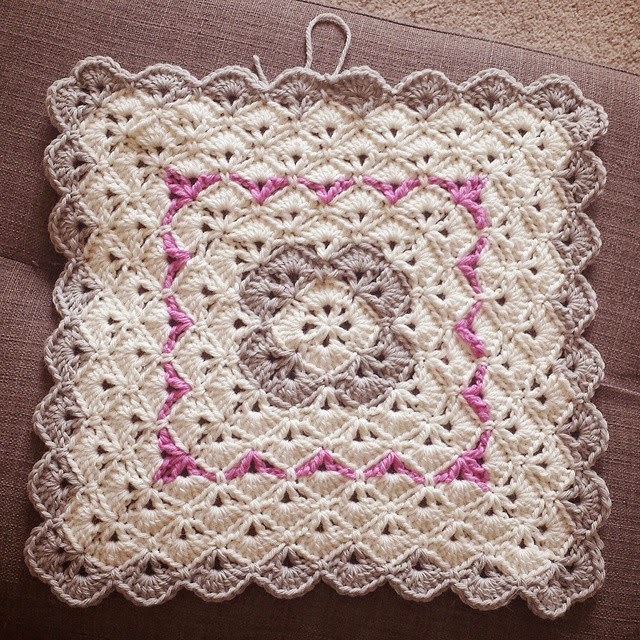 It is from MyPicot.com, this square doesn’t seem to have a name but it is very pretty! 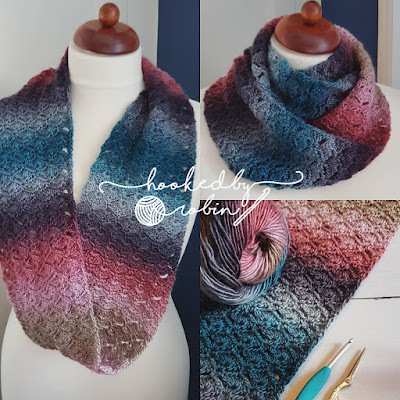 The direct link to the pattern is here – I initially found the written instructions a little tricksy (no idea why, clearly I was having a brain fart day) so instead followed the chart that is available in the downloadable PDF. 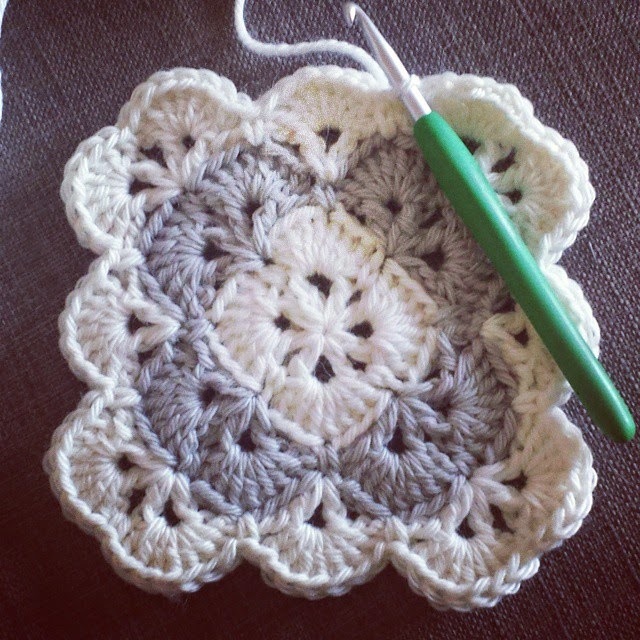 I continued my square until it was roughly the right size I wanted and then stopped. The scalloped edging was a little too flouncy for my liking so I squared it off. 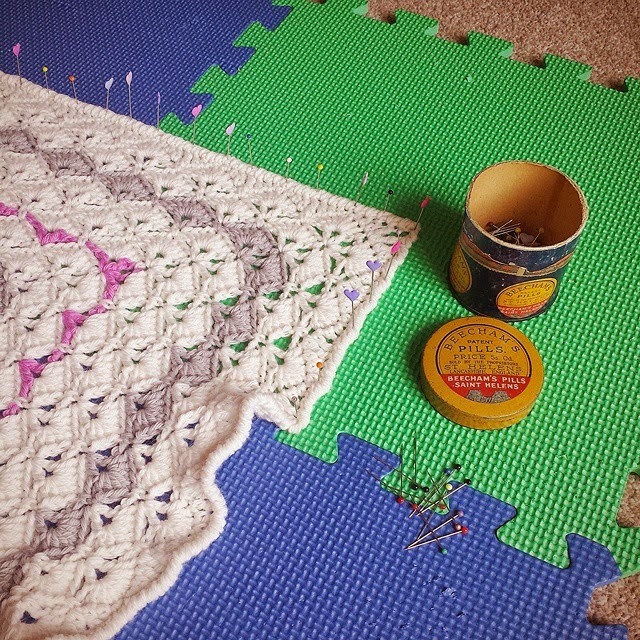 The border is 2 rounds, the first round was to square off the scallop, the second round was a round of crab stitch. 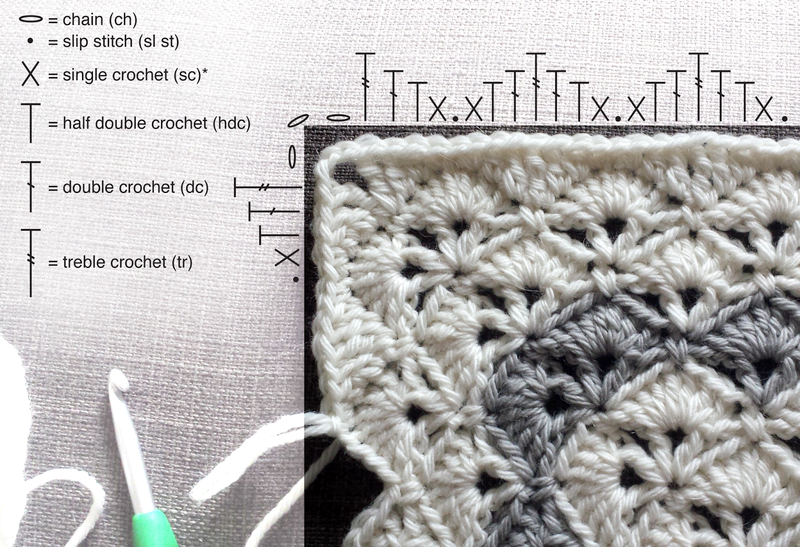 I have drawn a rough chart for you to see the stitches I used for the squaring off. If you need any help, please don’t hesitate to ask in the comments below and I will do my best to help! A word of warning if you follow my instructions for the edging: YOU WILL NEED TO BLOCK THE BLANKET. There is no escaping the blocking I’m afraid. I hate blocking with a passion so I can only apologise for this! Haha! 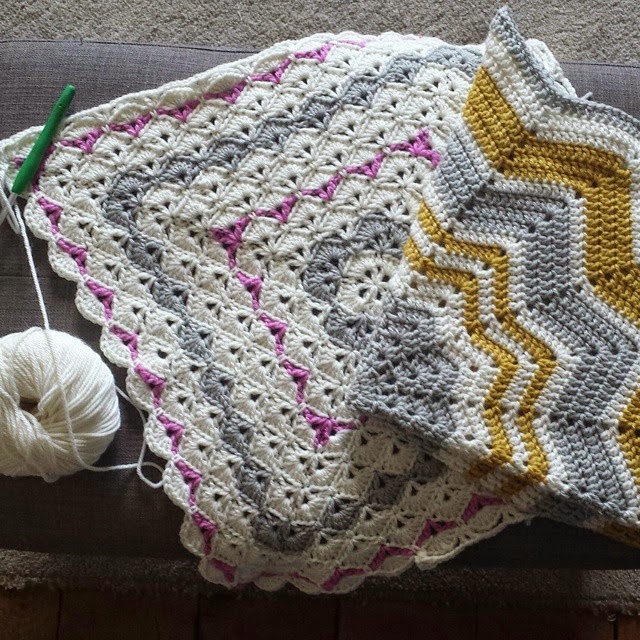 You may find that going down a hook size will help avoid the need to block but as I was rushing (and therefore not thinking) I used the same size hook for the entire blanket so haven’t tested it myself. Hi Robin! I absolutely love your work. Beautiful!! If I wanted to make this bigger, which rows would I go to and start repeating? I would love to make this pattern for our King Size bed.Thank you so much for sharing and you definitely have a new follower.